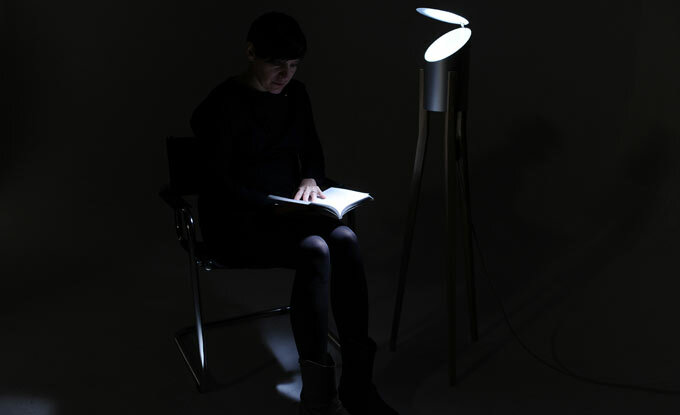 INTERGALACTIC 47 is a lamp, devoted for reading. 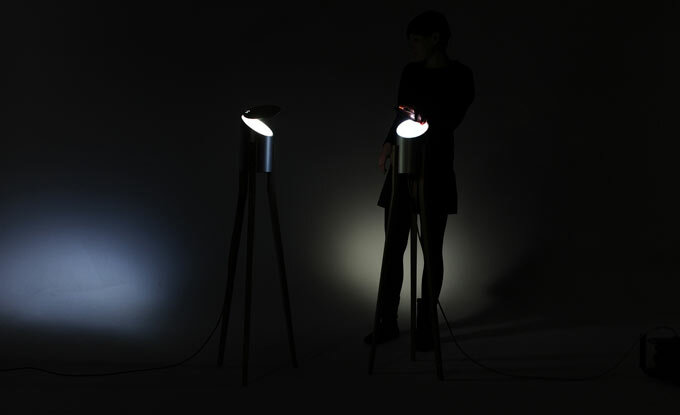 It's construction allows to direct precisely the light beam, which makes it very efficient. Energy-saving LED reflector, placed in aluminium body is directing the light beam straight up. 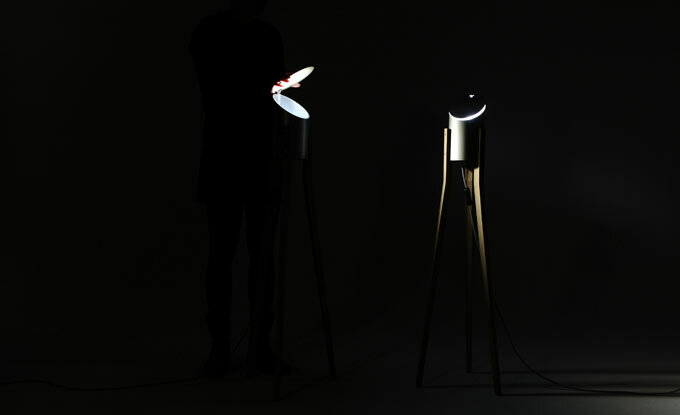 Adjustable reflector placed over the LED light source allows to direct precisely the spotlight. 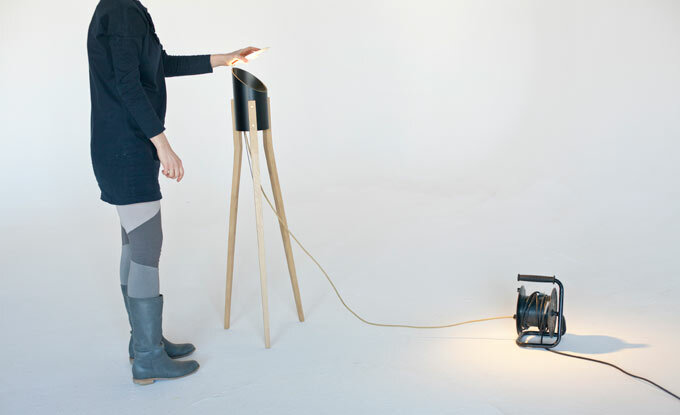 that provides warmer light temperature. 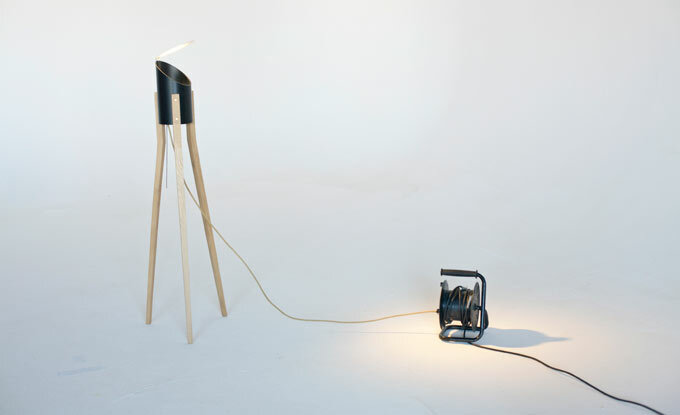 Lamp body stays on three legs, made of oak wood. Power cable is covered with silver or golden textile coating. 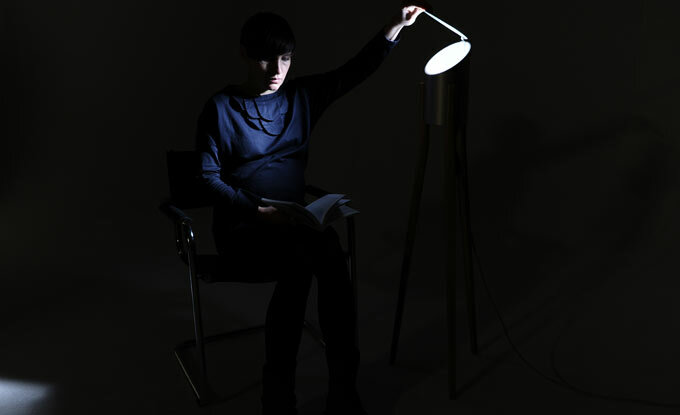 We don't need more light , we just need to apply it in a right way.